Eight cities are in the running to host the party convention just over two years from now. 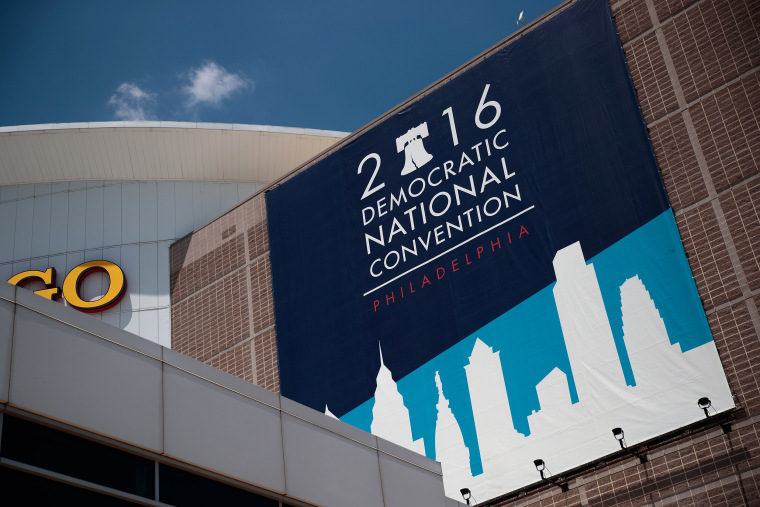 WASHINGTON — Eight cities are in consideration to host the 2020 Democratic National Convention as the party prepares for a presidential contest that is expected to include an unusually large number of candidates. The Democratic National Committee sent requests for proposals to eight cities last month that expressed interest in hosting the event. The cities are: Atlanta; Denver; Houston; New York; San Francisco; Milwaukee; Miami Beach; and Birmingham. The DNC previously sent letters to a longer list of cities to gauge their interest. Birmingham and New York City were considered in 2016, but passed over. Meanwhile, the Republican National Committee, is eyeing several cities for its own 2020 convention, including Las Vegas and Charlotte, North Carolina, according to the Charlotte Observer. Charlotte hosted Democrats' 2012 convention. Las Vegas was once considered taboo for party confabs. While past conventions have often been held in swing states or cities with symbolic significance, logistical concerns often carry more weight, especially as party conventions have grown in size and security needs. The 2016 Democratic convention was held in Philadelphia; Donald Trump won Pennsylvania. DNC Chairman Tom Perez said the party has also started preparing for primary debates, which could be unusually tricky next year given the large number of candidates expected to run. "We'll manage that," Perez told reporters at a DNC event in Washington Wednesday, noting that the first debate could be just over a year away. "We're going to have a very robust field. There's an incredible number of really qualified people." Last cycle, Republican split their debates into multiple tiers to accommodate an oversized field. But Perez said its too early to go into details about Democrats' 2020 debates might look like. The DNC Rules and Bylaws Committee on Wednesday held another meeting on changes to the party's primary and caucus process, along with its so-called superdelegates, both of which were contentious issues in the contest between Hillary Clinton and Bernie Sanders. The changes will decrease the influence of superdelegates — officials who can vote however they want, regardless of how voters in their states’ feel — and push more states to use primaries instead of caucuses, which are are more difficult for voters to participate in. The new rules will be finalized at a full DNC meeting in August.